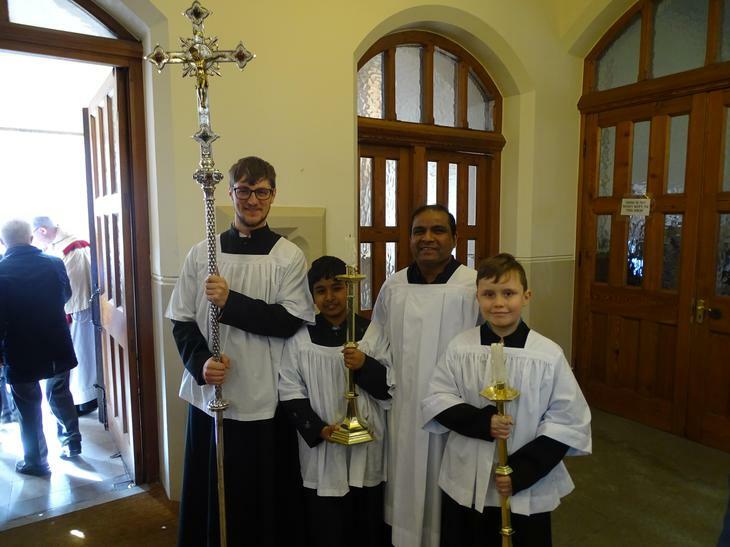 On this year's official feast day of St Joseph, Monday March 20th, the parish and children of St Joseph’s celebrated a very special Mass to mark a significant day for both the school and the parish. 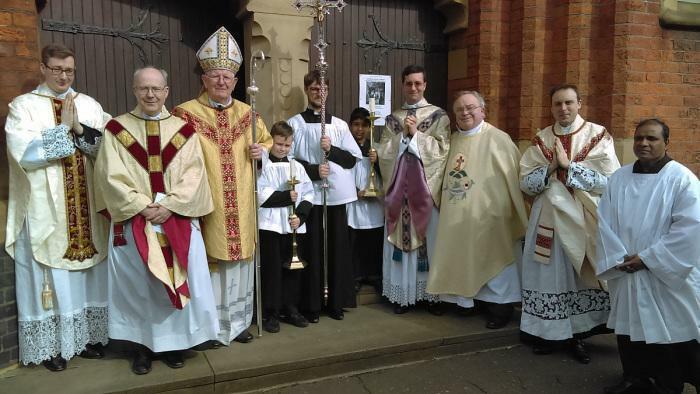 Not only was it our patron saint's day but it was also the end of the parish novena and the anniversary of the church's consecration. 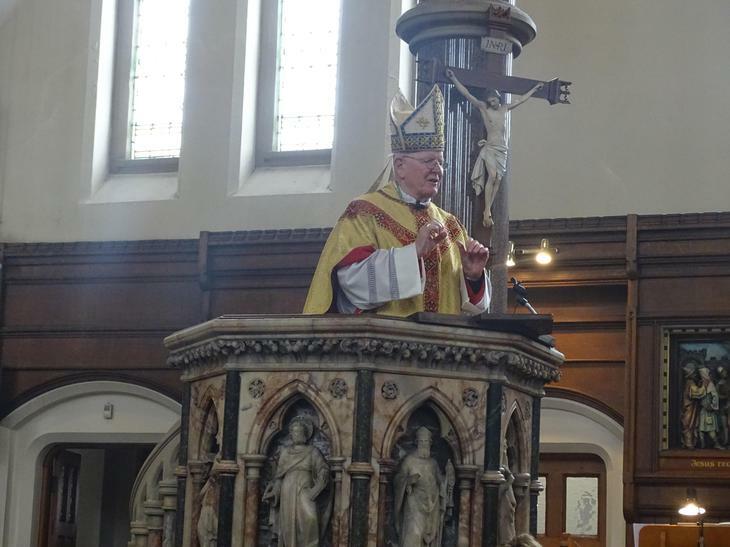 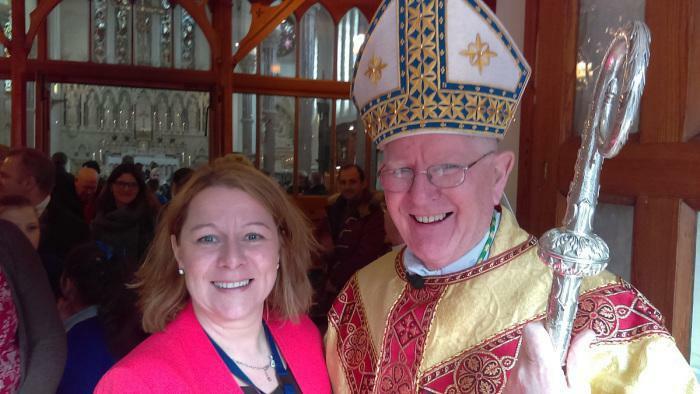 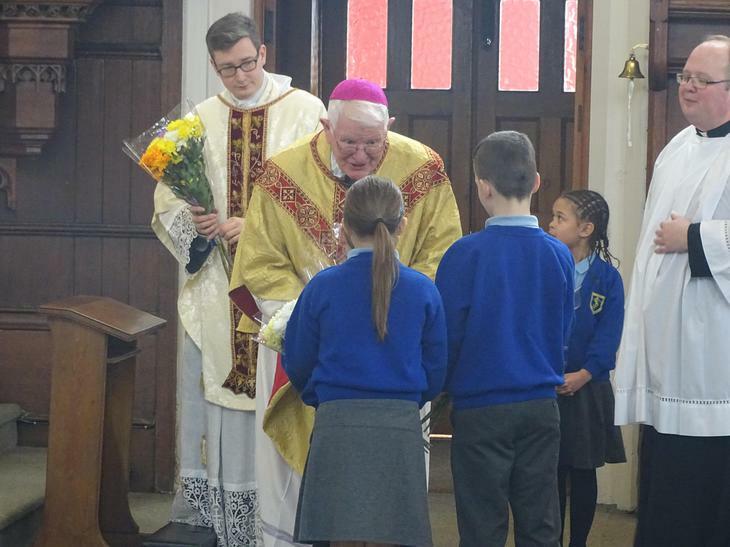 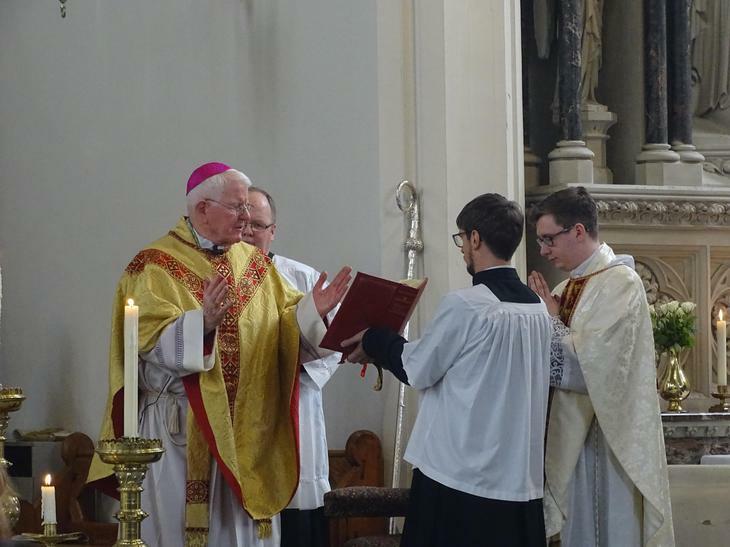 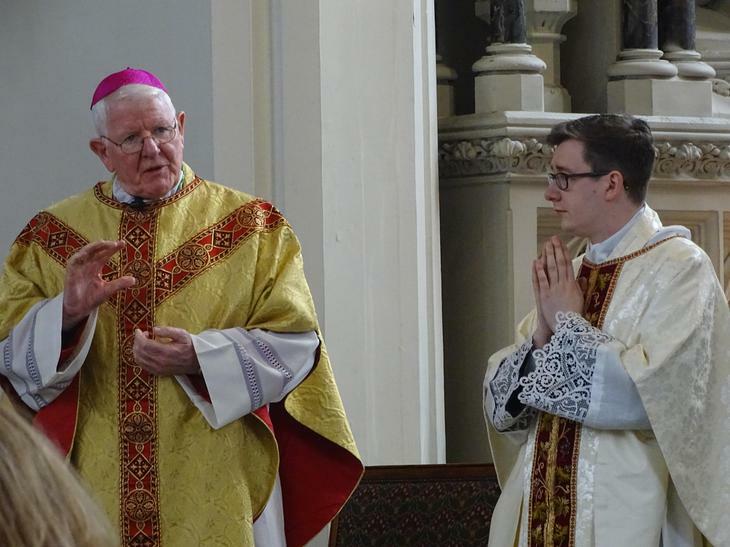 The Bishop of Lancaster, Bishop Michael, officiated and was warmly welcomed by a packed church of our school children from St Joseph's, as well as representatives from neighbouring schools in the parish of St John XXIII, St. Teresa's, St Augustine's, English Martyrs and St Ignatius. 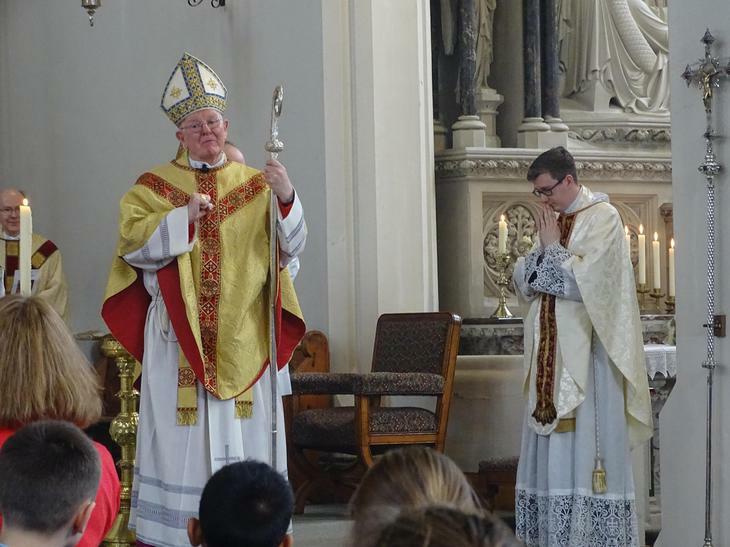 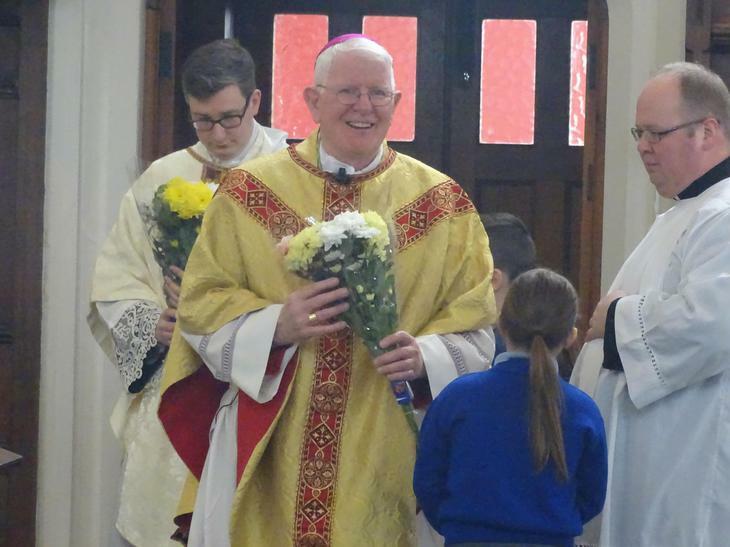 Fr John Millar has recently joined the parish and has thrown himself wholeheartedly into the life of St Joseph's. 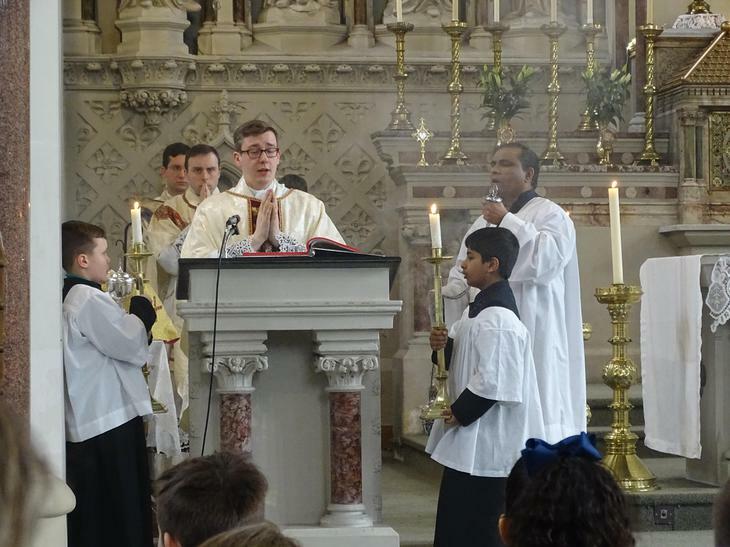 He has taught the children to sing some of the Mass responses in Latin. 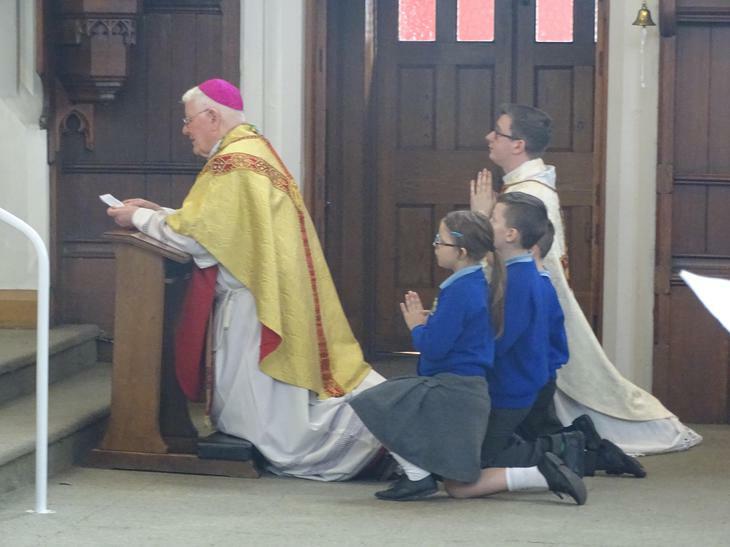 The enthusiasm with which the children have embraced this initiative is moving. 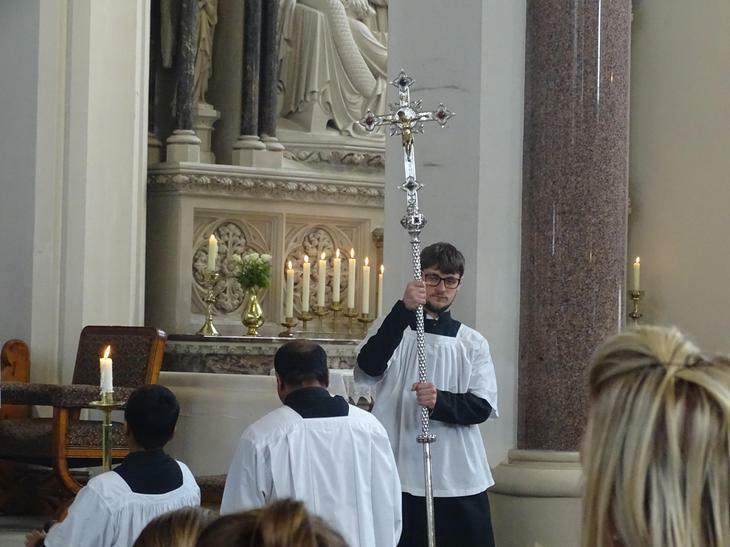 Before the Mass began Father Millar led the congregation in a last minute rehearsal and they did not let him down. 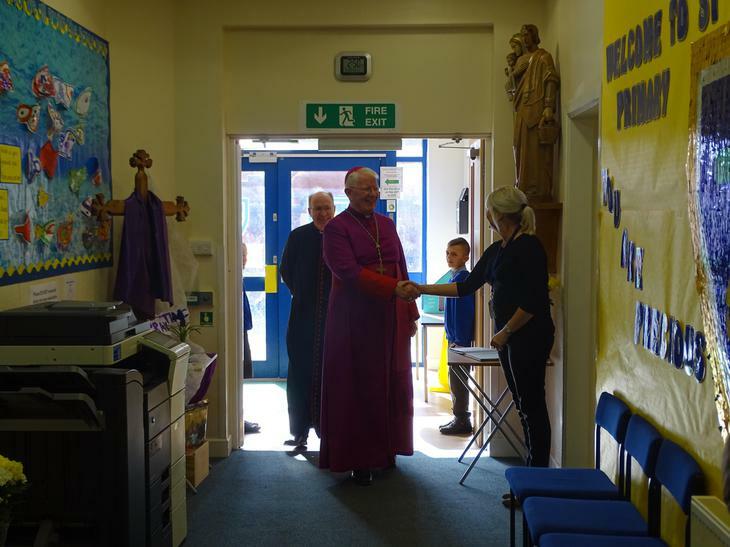 The children’s behaviour was impeccable and their responses throughout were a credit to them all. 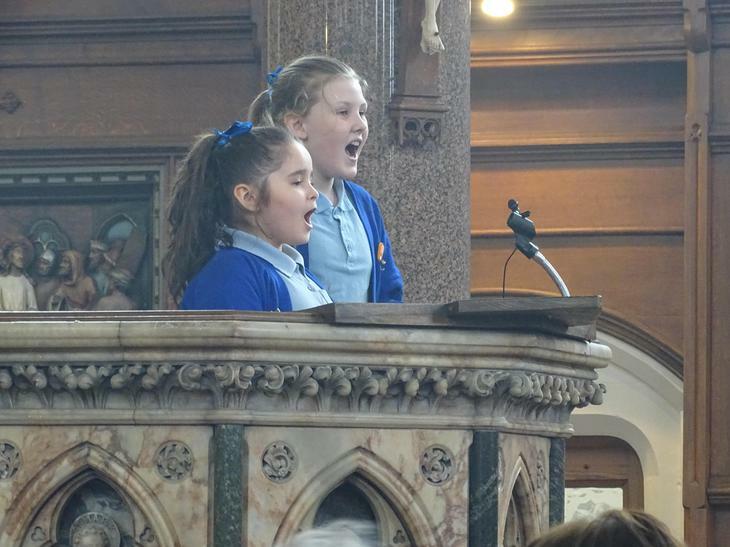 After communion we were all held spellbound while two of the junior girls, Abby and Claudia sang Panis Angelicus from the pulpit, a challenge even for the most experienced soloist. 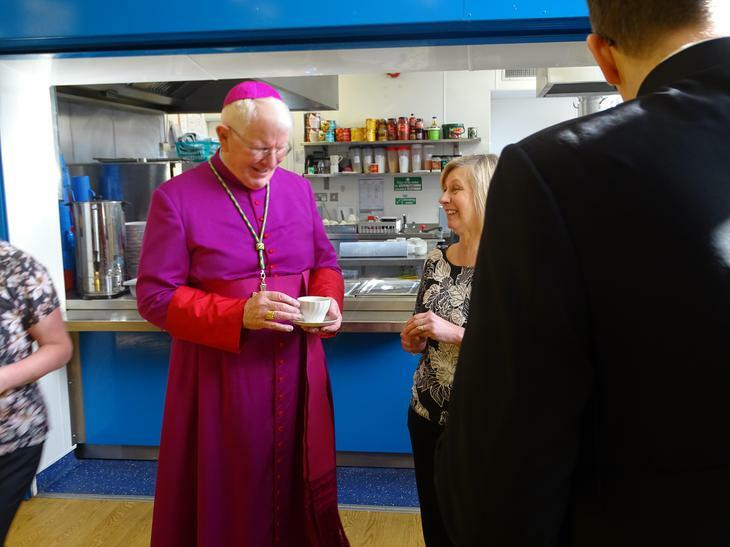 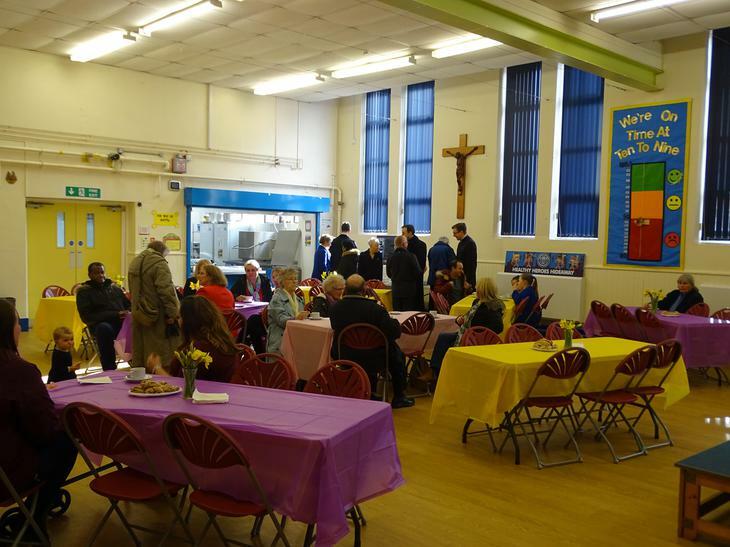 After Mass the parishioners and Bishop were invited into the school hall for refreshments. 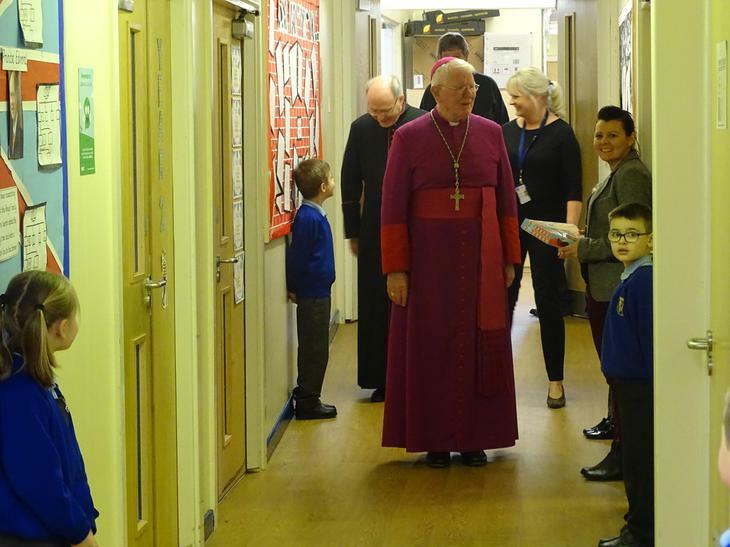 They were greeted by the KS1 children on the corridor. 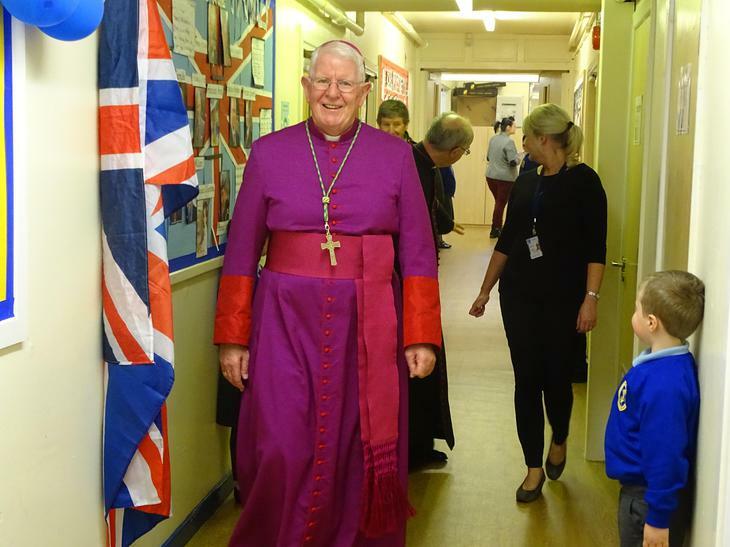 Well done to all the children and staff at St Joseph's. 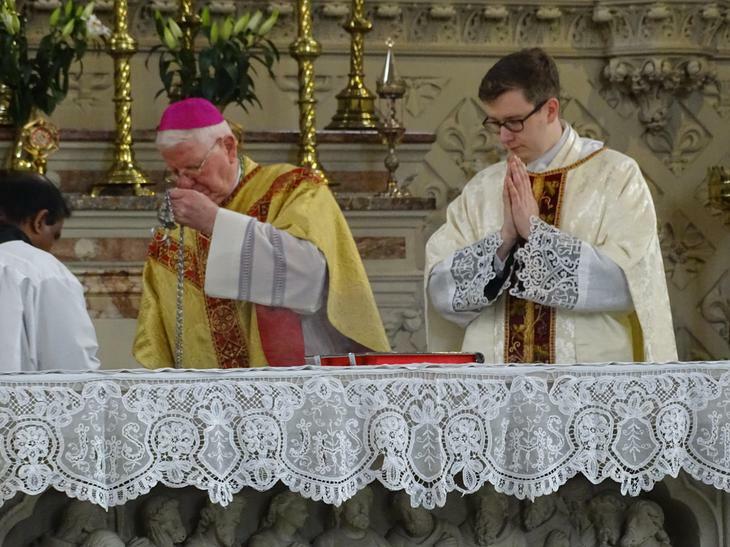 I am sure we will look back on this day with joy and with pride.